The growth of health disparities in the United States, particularly those associated with diet-related diseases, has motivated a reconvergence of the public health and planning disciplines to address this shared challenge. However, the dynamics and mechanisms through which public health and planning agencies can systematically address food-related issues have yet to be fully understood. 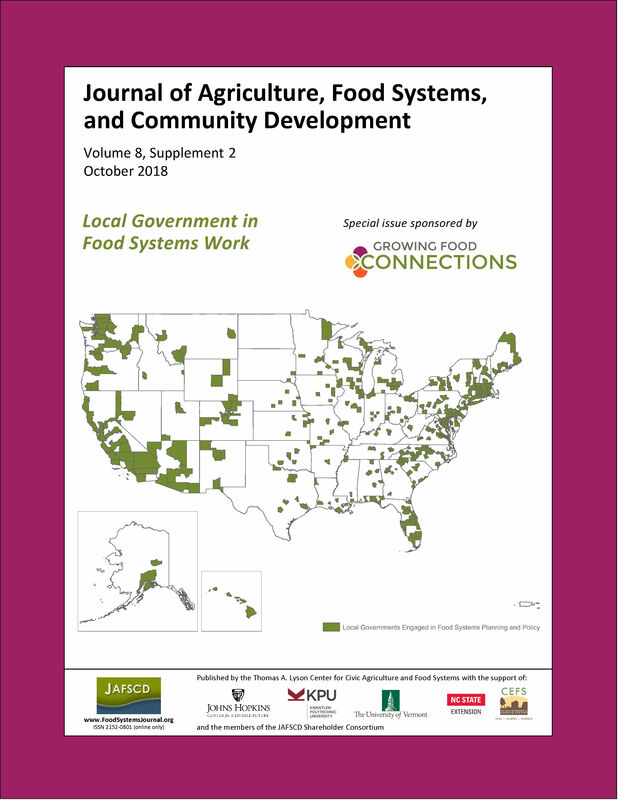 This study analyzes how partnership between public health professionals and planners in local, regional, and metropolitan (LRM) governments can streng­then community food systems through a more integrated and holistic approach to health. Using a national survey of planning practitioners, we identify which formal local government plans are more likely to address food-related issues, as a way to offer insights on where engagement with public health agencies could be leveraged. Our analysis is further complemented by conducting semistruc­tured interviews with LRM governments in two communities that are known for their innovative plans and policies, to explore how this cross-disciplinary relationship unfolds on the ground. Findings reveal that comprehensive plans are most likely to address the food system, while stand-alone food systems plans are the least common formal plan to be adopted by LRM governments. Stake­holder interviews highlight how the planning–public health partnership can leverage local assets and strengthen the food system in urban versus rural jurisdictions, by formalizing cross-collabora­tion, identifying shared objectives, and building capacity.